2014 - The Year of Tartan! Thinking of giving a room a makeover for the New Year? Try adding one or more of our gorgeous tub chairs to any space to create an instantly comfortable and luxurious aesthetic. With their cute compact shape that belies the deep and supportive sitting experience, tub chairs can be used to complement a room of any style and size, from a bathroom to a conservatory and everything in between. With elements of both vintage and contemporary design, our lovingly-crafted tub chairs are among our best selling items thanks to their superlative level of sophisticated beauty. 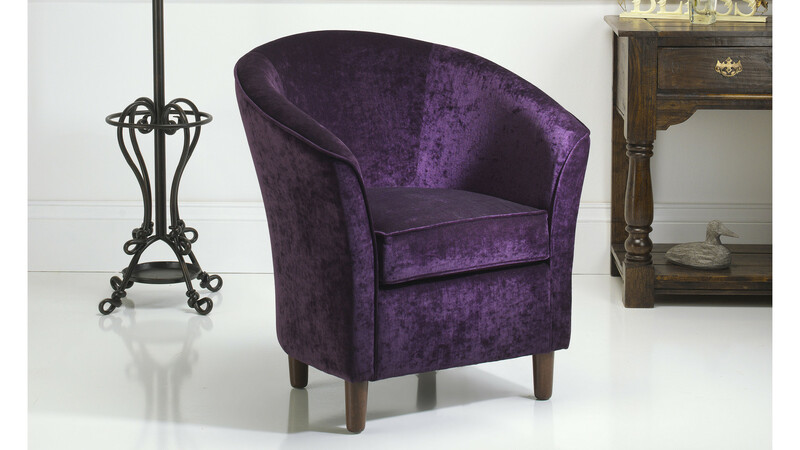 With charm, elegance and panache to spare, each tub chair features undulating arms which, with a dramatic and sweeping rise, form the high and imposing chair back. The front of the chair and its exquisitely-comfortable seat cushion provide a pleasing contrast to the many curvatures, formed as they are with strong, clean lines. Supported by four sturdy legs that elevate it to the perfect sitting height, our tub chairs have a seating area with a generous proportion, making them perfect for use in small spaces. A pair of these gorgeous pieces of luxury furniture, snugged around a long, low table covered with candles and flowers, will create an intimate and evocative space while a single chair, placed creatively in a minimal, uncluttered area, will quickly form a striking and artistic focal point. As the chairs can be expertly-upholstered in an infinite variety of colour and pattern combinations, the only limit is your creative imagination. Since the beginning of 2014, there has been a noticeable trend for Tartan in interior design. Rugs, soft furnishings and even wallpaper emblazoned with the striking geometric pattern is becoming increasingly popular and luxury furniture has also entered into the Tartan craze. Russkell Furniture are proud to present the Tartan Tub Chair, completely on-trend and ready to transform any living area. 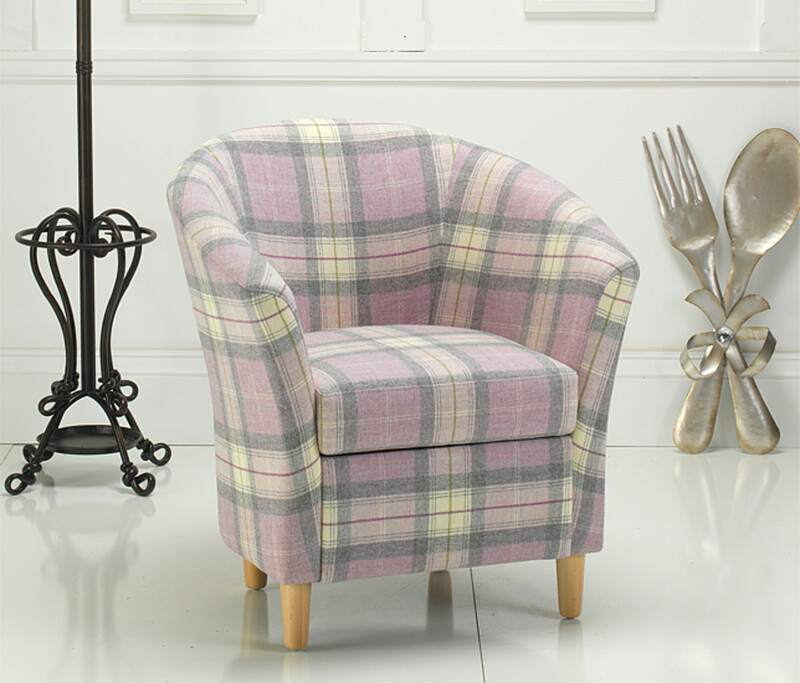 The chair is available in four colours as part of our Highland Tartan Wool collection, which can also be used to upholster any of our sofas, chairs and footstools. 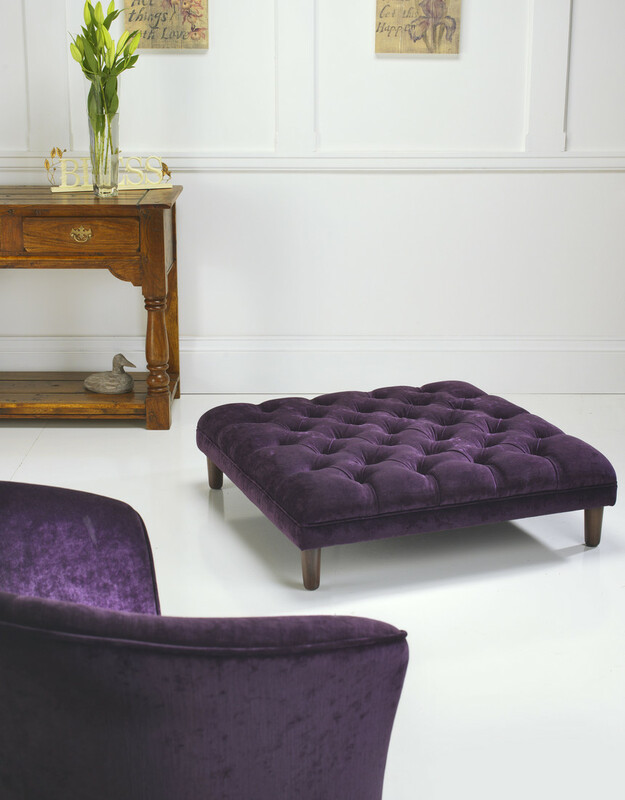 The Tilly footstool perfectly complements our Tartan Tub Chairs and can be upholstered to match, creating a unique furniture combination of unmatched style, comfort and luxury. info@russkellfurniture.co.uk. Russkell Furniture - providing luxury since 1972.